The Zamst EK-3 is a moderate knee support that offers Exo-Tech Dual Technology, providing both medial (MCL) and lateral (LCL) stabilization. The EK-3 incorporates a flyweight fabrication with i-Fit Technology for individualized compression. 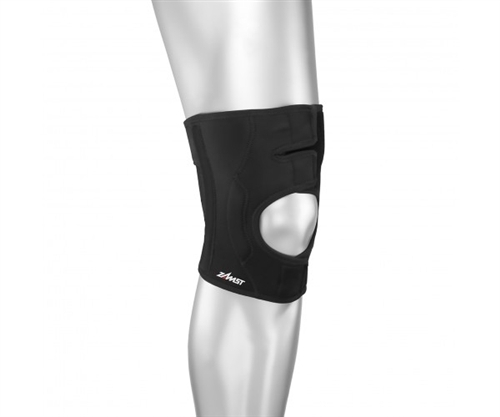 The i-Fit Technology is a dual front open panel design, with Velcro fasteners that wrap around the knee to create a custom fit with adjustable compression. Backside V-Tech Ventilation material enhances cooling while in motion.